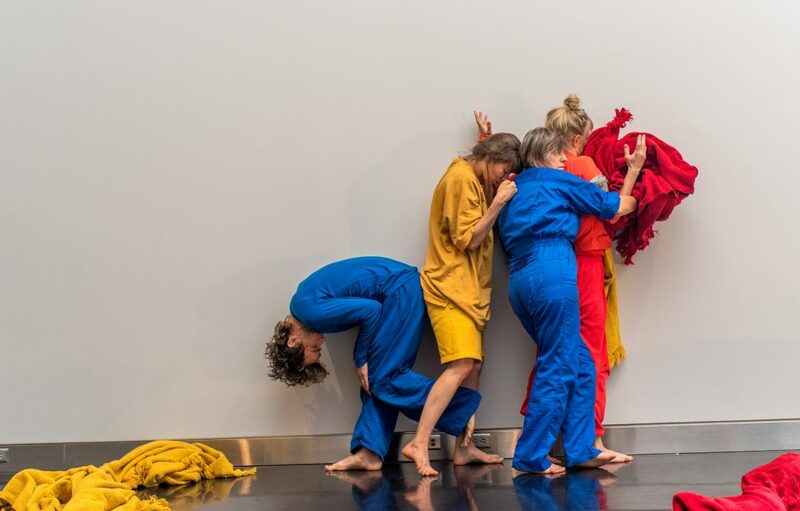 BodyCartography co-directors Olive Bieringa and Otto Ramstad speak with HIJACK collaborators Kristin Van Loon and Arwen Wilder about the premiere of HIJACK’s premiere of “redundant, ready, reading, radish, Red Eye” at the Walker Art Center. The interview took place in Olive and Otto’s home in November 2013. Arwen Wilder: Thinking about how this question… I was thinking about why this is a relevant question and how if you do work where you show somebody some moves and there’s a clear right and a wrong, like a very specific shape that you’re supposed to do, directing is different than when you’re working in a task-oriented or mixed, sat-with improvisation kind of way that that becomes much more relevant and I think what you were saying, Kristin, about the difference between the two of us and then working with a group, I feel like we share such… we have a lot of unspoken rules about how you approach things like impossibility and you know if you’re trying to do something and we know that its not possible to pay attention to as many things as we’re asking people to and we know how much you like to be rigorous and frantically stick to the rules and how much we like to have a sense of humor and know that its impossible and let go of the direction and that one of the things that we have to try to communicate to our dancers is how to approach the instructions that they’re being given. Mostly, I think what I was trying to say last night is that as long as the approach is clear, its our job to keep the directions, to keep the rules about what they’re doing, such that they don’t need continuous direction, that they’re solving problems and figuring out how to be and how to do things within the scores that we’re giving them. OB: No we were in Germany, so she came to Dusseldorf and dramaturged while we were in process and we did a little exchange. OR: That’s good because you have to be in it. I mean it still has a score and I did give feedback, we did give feedback and say, “Don’t do this as much, do this more,” you know, “Do this.” Or, some supportive things like “This was really vibrant within that” and “This really distracted me from what I want to see right now.” But at the same time, you have to perform it and you have to survive that situation without it being set, so I can understand why that would be a bigger experience than just some little tips. 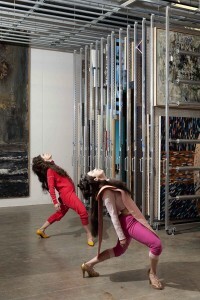 HIJACK is the Minneapolis-based choreographic collaboration of Kristin Van Loon & Arwen Wilder. Specializing in the inappropriate since 1993, they insert dance where it is least expected. HIJACK is best known for “short-shorts”: pop song-length miniatures designed to deliver a sharp shock and collaborations with po-mo hero Scott Heron. The duo has taught and performed in New York (at DTW, PS122, HERE ArtCenter, Catch Series/Movement Research Festival, Chocolate Factory, La Mama, Dixon Place), Japan, Russia, Ottawa, Chicago, Colorado, New Orleans, Seattle, San Francisco, Fuse Box Festival, and Bates Dance Festival. 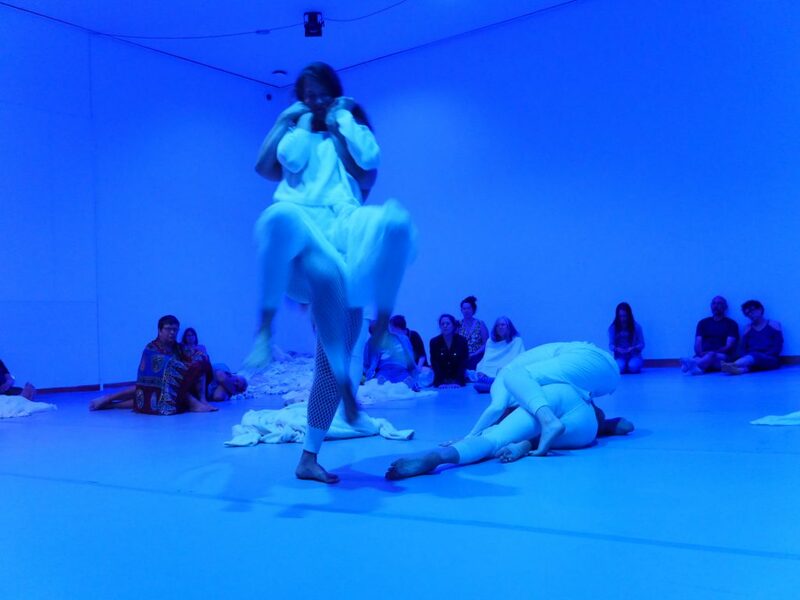 Commissions include DTW/Tere O’Connor’s “Nothing Festival”, James Sewell Ballet, U of MN, Bedlam Theatre. HIJACK has taught a Wednesday morning Contact Improvisation class at Zenon Dance School continuously for 14 years. 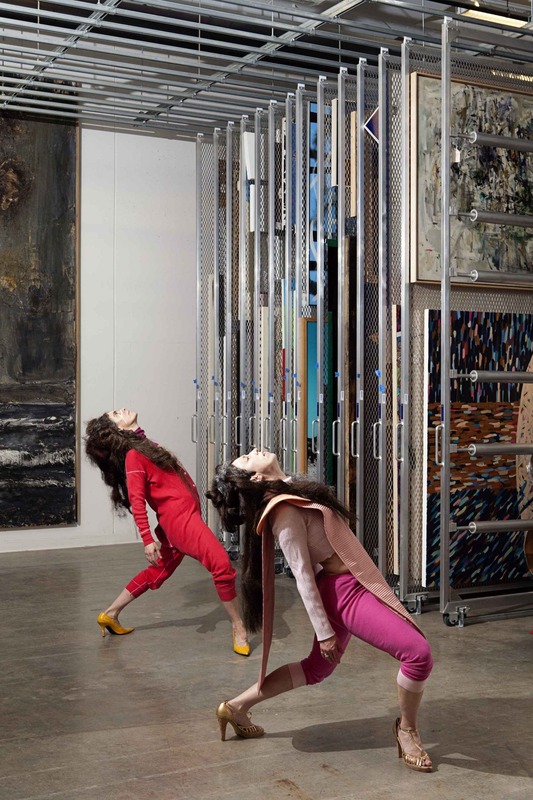 Van Loon & Wilder are currently at work re-imagining their Walker Art Center-commissioned nonet “redundant, ready, reading, radish, Red Eye” into a duet (?) for awkward spaces.